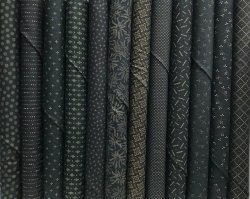 What's New @ Creekside Quilting? This Ebony and Onyx line from Kim Diehl is first on our list! So many people have asked for this pattern, Over the River and Through the Woods, after viewing the quilts in our classroom. 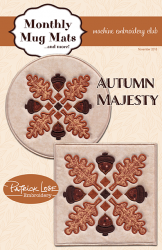 So we ordered up a couple of patterns, and if they go over well, we can always order more! We also received in the Shape Flex 101 to use under your fabric to hide the "travel" lines of your thread! 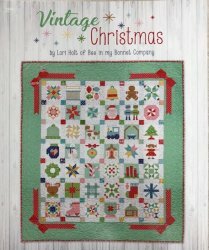 This may be the last order we receive of Vintage Christmas! 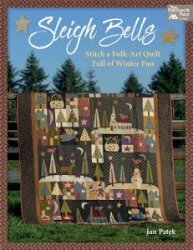 This pattern book by designer Lori Holt came in and went out just as fast. After our first order, the book was on back order of 3 weeks from all of our vendors who carried the book. We received in 6 more books today, and 2 are already gone. If you want one, please give us a call or order online. 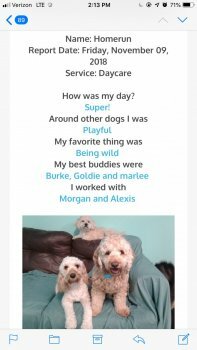 Our classes this month have been a great success! Thank you so much for everyone who has participated in our classes! Here is our youngest class member, who proudly show's off her place mat! 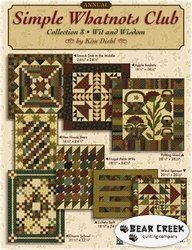 Lovely and a great job piecing and quilting! Eva Marie's Easy Intentional Improv class was full! 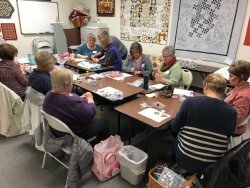 Both classes were successful and everyone said they learned new techniques, loved sharing ideas, and had fun doing it! THANK YOU FOR SUPPORTING OUR INSTRUCTORS! 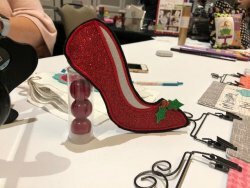 They have a lot of talent they want to share with others, and it's awesome to see so many people taking advantage of the classes they are teaching! Class fees go straight to the instructor. Thank you for signing up for our classes! Do you have a Pfaff sewing machine in need of cleaning and oil? We will have a Pfaff sewing machine technician in the store on November 21st to clean your sewing machines. Pat Heinrichs will be at the store from 8-4, and she already has a couple of cleaning spots filled! If you are interested, at least get your name in, even if you don't bring you machine to the store until Tuesday the 20th. Call us and we will reserve your spot. November 13th is Wool Club starts at noon TODAY! NEW! November 16: Sit and Knit Club starting on Friday, November 16th at 1pm. Erika will be leading the group! She is an amazing knitter, and we are excited she will be joining Creekside to lead this club! Come join other knitters for a monthly sit and knit club. This is a new club and open to anyone who likes to knit, and would like to knit with other knitters! It's a time to share ideas, get suggestions, develop skills, and relax! The club is free, the classroom is reserved for you from 1-4, so grab a friend, your project(s), and take an afternoon to sit and knit. NEW! 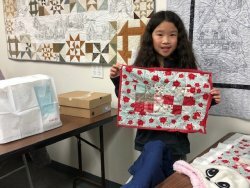 November 19th is English Paper Piecing Club! 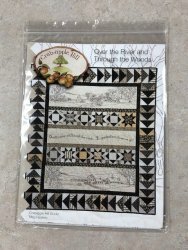 Do you enjoy English Paper Piecing ? Do you have projects you need to work on, but don't? 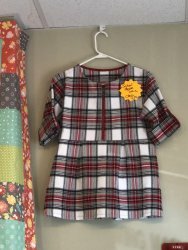 Have you been thinking about starting a project with English Paper Piecing? 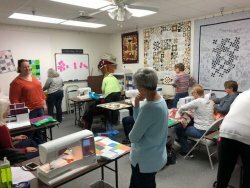 Come to Creekside on the third Monday of the month and enjoy the friendship, fellowship and fun of others also working on English Paper Piecing Projects. We will have show and tell of projects and progress while we stitch, stitch stitch. It's all free. Sharon Meisenheimer will be our guide while we learn from each other and enjoy this age old process. NEW! December 2nd both Barb and I are planning to take this Beginning Garment Making Class with award winning sewer, Tracy Fieldmann! So if you come into the store some day and see us wearing twin tops...well, you will know why! :) come join us in the fun! A little chuckle to end our newsletter this week. Homerun (aka Homer) is my grand-puppy and he is the one on the left. Yes, he is as sweet and playful as he looks, but I wonder which one is Goldie? tee-hee-hee! I hope that hearing this from my customers and staff, instead of just me, will help them realize it is not just me affected by the loud, continuous barking. No coupon this week, in preparation for our sale on November 23rd and 24th. Lastly, I want to let you know that we will be closing Wednesday, November 21st at 4 pm, will be closed on Thanksgiving, and then re-opening on Friday morning at 10 am. Looking forward to seeing everyone in the store!